Torius Vin is perfectly happy with his life as a pirate captain, sailing the Inner Sea with a bold crew of buccaneers and Celeste, his snake-bodied navigator and one true love. Yet all that changes when his sometime friend Vreva Jhafae—a high-powered courtesan and abolitionist spy in the slaver stronghold of Okeno— draws him into her shadowy network of secret agents. Caught between the slavers he hates and a navy that sees him as a criminal, can Torius continue to choose the path of piracy? Or will he sign on as a privateer, bringing freedom to others—at the price of his own? 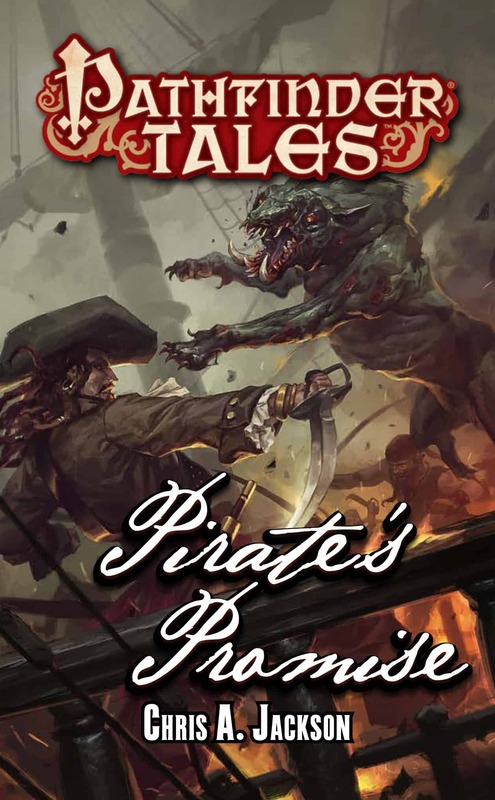 From critically acclaimed author Chris A. Jackson comes a fantastical tale of love, espionage, and high-seas adventure, set in the award-winning world of the Pathfinder Roleplaying Game.